No, I'm absolutely not mentioning about the liter class. Well actually the concept of a big bike itself is very debatable and subjective. When I used to roam around the whole of my home town on my peddle bike, by Dad's 100cc Hero Honda Sleek used to be my dream "BIG" bike. But then times changed and I started feeling the weight inside the engine and outside, not satiable enough for me. The craving for more and constraints of limited resources are indeed are ingredients which finally ends up in a bowl of sumptuous options of desi bikes and it's all up to you, if you start a mindless gobble, or be elegant and sift through options till you find that perfect taste to satisfy your senses. The moment you have this, well, my pal, you've found your first big bike, and I'm strictly not talking in terms of performance numbers here as I said in the beginning, that this is very subjective. My first bike was Hero Honda Super Splendor and it did it's job amazingly well. Really loved to ride it anytime of the day and year. Then things changed and I let it go and then the bike which knocked me off, was the Bajaj Pulsar 200 DTSi. After a lot of deliberation and though, I went for it. The Black Devil was in. My first BIG BIKE. So, how does it feel like living with my big bike. For everything there are some gains and some pains and so is with these high capacity bikes too (and I very strictly mean high capacity in Indian terms, where the blood line of the on road public is 100-125cc bikes). So, what are the gains ? The priceless attention it generates. 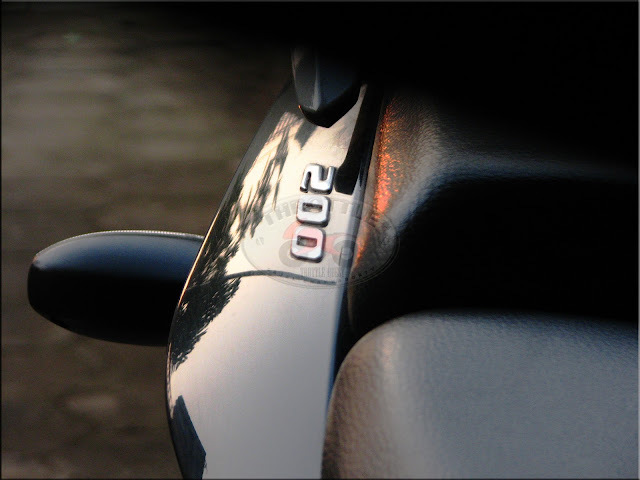 I still remember the queries, the looks the head turns my bike used to treat me with back in 2007. Actually that's the dividend you get for taking the decision to own it. Long rides become chants to attain nirvana. Power to exercise your free will. You want to stay ahead of traffic, in middle of it or just stay back, relax and follow it. It's your will. One twist of the throttle and you are way ahead of the league behind. Once you are on the saddle, it's never about reaching from point A to point B, it's always about how you make that journey, and with a big bike, every such journey is full of confidence, vigor and power with the grin on your face shining as bright as it's head light. In my opinion, a big bike carves a better human being out of you, at least on the roads, coz you start to get habituated of the command and respect it generates. It's exhaust note fills your mind space for the rest of the day and the berserk tach needle and the speedo numbers give you goose bumps anytime of the day you think about them. As is with the acceleration, the handling and braking is always automatically good from the crop down in the food chain. Well this list is going to go on and on and on... so, let's see what are the pains of owning a big bike. Well the most painful part of owning a big bike is that you don't get to ride your pride at your will, the worldly chores would come between you and your bike 7 out of 10 times and top of that, no matter which bike you have, in Indian society you are always expected to do grocery shopping on that. So, what are the other pains than that? Let's face that truth. The most basic pain of owning a big bike is it's average. The running cost is high and specially for gas. Specially when you're switching from say a 100-125 and directly to say 200 (which I did), the average of the bike does come as a cultural shock. The maintenance cost is obviously high. I wont' comment on the guys who think that a beat up bike look gorgeous, it's their thought process and I don't agree to that. If you ask me, the smallest scratch, smallest cluttering sound from the drive chain, the smallest drop in the pickup sends me into Saaboo rage mode (remember Chacha Chaudhari's punter... Saaboo from Jupiter??). Also, these sophisticated machines do demand their share of maintenance and which is absolutely justified. Costly spares ,aftermarkets and riding gear. Definitely that's one thing that's hard to dig out and costly to have them in. No proper mechanical advise outside authorized service center and even authorized service centers fail to provide prompt responses to technical queries. 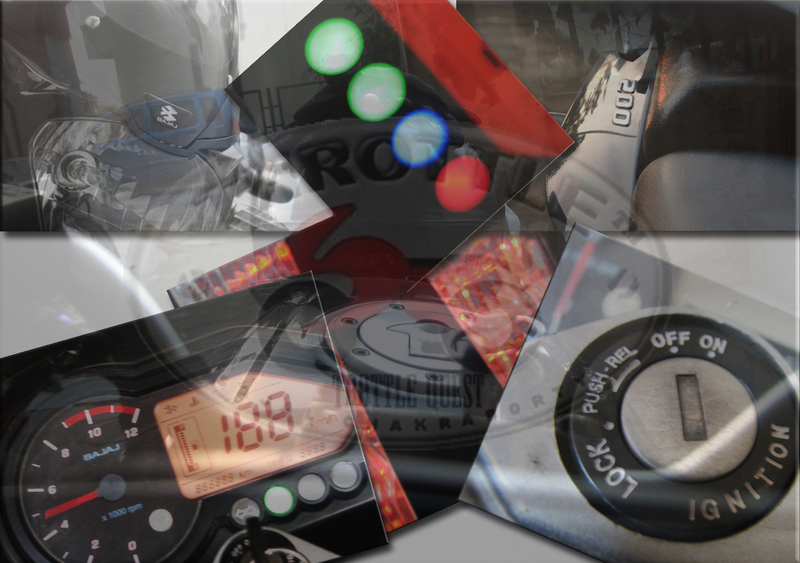 So, everything depends upon your knowledge about your bike. With great power comes great responsibilities. Indian traffic conditions and sense is a nightmare with open eyes. Riding such big bikes on these murky outings raises the most debatable and probably un-answerable question - "Are these big bikes justified on these kind of conditions?" Well it's the paramount responsibility of the rider to ride according to conditions and place judgment before flowing through adrenaline. The lack of proper parking and on top of that parking sense often leaves me perturbed as to how one can treat someone's priced possession like that. Well to sum it up, my life with my big bike has been quite an experience till date. I've ripped, burned rubber, crashed, bled, cried but I enjoyed every moment of pain and agony. As I keep saying, after every crash, I've gained more and more confidence on the machine. It's not that with every crash I failed somewhere, it's just that I learned one more thing not to do and that I think educates the rider in me. My bike is my riding university and I learn a new chapter of life every time I switch her on and twist the throttle and that's the most magnificent thing about living with a big bike. 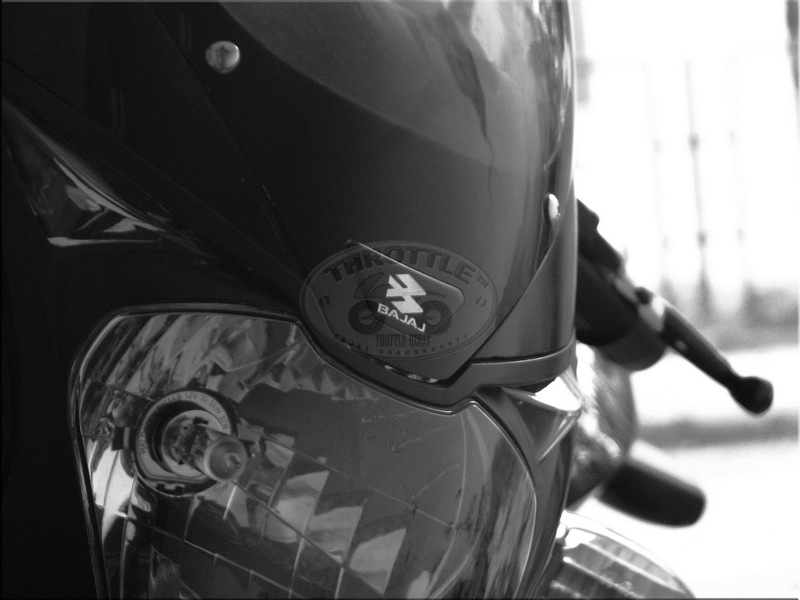 Its always about the next big thing/thrill that leads to crave for bigger things in life, including bikes. For some, the craving suddenly diminishes after settling down (read getting married and having kids).. according to me in India, for a middle class biker, its a very rare breed who doesn't let the fire down. Such a rare breed according to me would also become more responsible and respect his machine more as it becomes "bigger". Plus respect others on the road as well and not necessarily treat his big bike as a show off tool. I see you becoming one such rare breed of rider.